Seattle and the entire Puget Sound region are among the most pet-friendly areas in the U.S., and we take our commitment to guardianship seriously. We cherish our pets, consider them family. We worry about whether our pets are getting the right foods, the safest toys, the best training and exercise, about whether they are properly socialized, going to the best veterinarians, etc. If you’ve ever loved, or are currently in love with a pet, you know the joy of sharing your life with an animal far outweighs the eventual heartache most of us bear when they leave us. It’s never easy, but we expect to outlive our pets. But what happens when they outlive us? Would your pets thrive in your absence? In Washington State, pets essentially have the same legal status at your death as your sofa – they are personal property. In the absence of another direction in an estate plan, a pet passes to whoever would inherit your other personal property. This can be problematic — while you might want your father or your brother or your daughter to inherit your car or jewelry or sofa, he or she might not be the best person to love and care for your pet. Sheila is a 26-year-old single woman with two dogs, a lab mix, Baxter, and a golden retriever, Teddy. She hopes to have children one day, but right now her dogs are her “babies.” She works hard to satisfy their needs for good nutrition, exercise, medical care, training, and overall well-being. Sheila has a large social network of dog-loving friends. When Sheila thinks of estate planning – which admittedly, she doesn’t often – she thinks it is for someone older, more mature, more settled than she is. But after hearing about Leona Helmsley and her extravagant pet trust, Sheila got to thinking about what would happen to Baxter and Teddy if she were to die unexpectedly. As much as she loves her parents, Sheila knows Baxter and Teddy would be better off living with Emily, one of her dog-savvy and dog-loving friends. Although Sheila would like to have Emily care for her pets in the event of tragedy, she isn’t sure how that would work – or whether Emily could afford to care for the dogs for their lifetimes. Sheila and Emily have promised each other that they will care for the other’s pets, but this plan is inadequate. Their informal arrangement presents numerous problems. If Sheila were to pass away without a will, her wishes regarding Baxter and Teddy would not be recorded. There would be competing interests – Sheila’s parents, who would inherit the dogs under Washington law, may want to keep the dogs out of a perceived sense of loyalty to Sheila, even though they aren’t the best caretakers. And Emily would have no way to enforce Sheila’s wishes. Can Sheila make this work? Yes, instead of making insecure plans with well-meaning friends, Sheila should work with an estate planning attorney to create an estate plan to formalize her goals for her pets. The issues facing Sheila are similar to the decisions a parent makes with regard to a guardian for a minor child. I encourage pet owners to think about who should care for their pets just as I encourage parents to think carefully about any guardian they name in their wills. A will gives you the power to legally choose who will care for your pet. Your wishes will be clear and enforceable. Having a formal plan also frees family members from the burden of having to make this decision for you when they’re already suffering emotional distress. Once you’ve taken care of the “who,” the next step is making sure the “how” is taken care of, meaning the financial piece of pet guardianship. Caring for pets can be expensive. 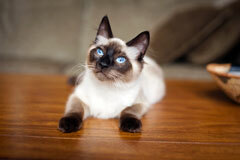 I encourage my clients to think about how their pet’s caretakers will pay for their new family members’ care. Providing financial protection ensures the new guardians will be able to afford the costs of caring for your pet in the manner you designate, including veterinary visits, food, pet sitting, grooming, exercising and more, without bearing the financial burden themselves. In our own wills, my wife and I have designated portions of our life insurance to cover our dog’s expenses for her lifetime. This ensures she will be cared for, without putting a financial burden on her new guardians. 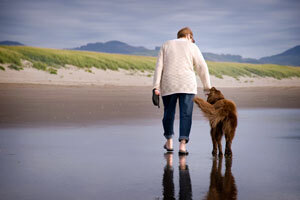 An estate-planning attorney can help you choose the best financial tool for covering the costs of caring for your pet. In many cases, clients can make a simple cash bequest to the new caretakers. Many of my clients, for instance, expect that one of their children will care for their pets when they are gone. I discuss with these clients whether it makes sense to provide an extra bequest to the designated caretaker to cover pet care costs. Other clients may need to establish more complex structures, which may include a “pet trust” or other financial tool. An estate-planning attorney will help you decide what works best for your situation. Part 3: Who can best care for my pet? Recall that in Part 1 of this article Sheila had a good choice to care for her pets in the event of tragedy. Not everyone has that option. What if you don’t have someone like that in your life? Mary is a 76-year-old retired nurse living in Bothell. She has two four-year-old cats, George and Abby. Mary is single, with no children. Although Mary has a rich social life, she does not know anyone who would be a good choice to care for her beloved pets if she were to pass away during their lifetimes. 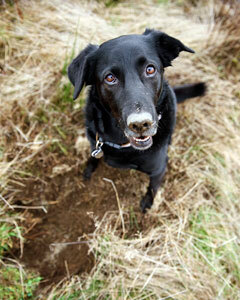 A pet-savvy estate planning attorney could help Mary find and research other options. For example, some local animal welfare organizations will foster or re-home pets in exchange for a portion of your estate. Or perhaps Mary could appoint an individual or panel to take responsibility for finding the best possible home and guardian for her pet. Regardless of the plan, an estate-planning attorney should be involved to ensure that her wishes are clearly spelled out and legally binding. Without a designated caretaker, or a plan for finding one, Mary’s cats could eventually end up in a shelter. While we are fortunate to have many wonderful rescue organizations in our area, it’s important to consider the stress and uncertain future your pet could face with this option. Don’t get me wrong, my wife and I are forever grateful to shelters for doing such wonderful work rescuing animals – our own dog’s life was saved by two different shelters, and we both continue to support animal welfare organizations –but by making a plan for your pet, not only will you have peace of mind that your pet will be cared for, you’ll also avoid burdening the shelter system. It’s more than just setting aside money. No one knows your pet as well as you do. Documenting what you know will help your pet and a new guardian adapt more quickly to their new lives together. Sharing the basics, such as diet, exercise and medical information is important, but so is describing your pet’s personality, including all the quirks that make him or her unique. Listing favorite toys, how s/he likes to be petted (if at all), social skills with other people and animals, and other information will all help everyone bond more quickly. Our complimentary Pet Profile form can help you pass your knowledge of your pet on to potential caregivers. Simply e-mail us your full name to receive a link to the form. Identify one or more caretakers for your pets. Contact an estate planning attorney that shares your concern for your pet’s welfare. Execute a will that includes both a guardian and financial support for your pets. Email me for a Pet Profile form and share it with family members, identified caretakers, and veterinarians, and keep a copy with your will. Enjoy peace of mind that your commitment to your pets will last for their lifetimes. Most everyone knows they should have an estate plan. The reality is that many people don’t bother to make one until they’re touched by a life event that highlights the perils of not having a plan. Talk with an estate planning attorney that understands the issues surrounding pets in estate plans, one that shares your concerns about pet welfare. Including your pet in a will is the best way to truly make a lifetime commitment for your pet.